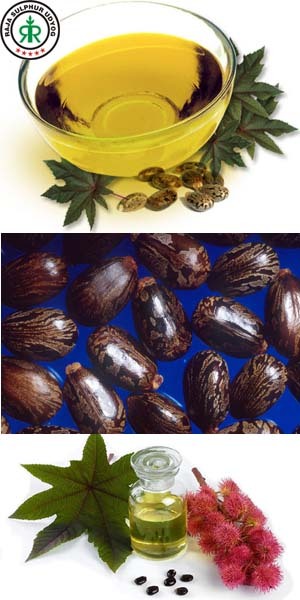 Castor oil is a colorless to very pale yellow liquid with a distinct taste and odor once first ingested. Its boiling point is 313 Â°C (595 Â°F) and its density is 961 kg/m3. It is a triglyceride in which approximately 90 percent of fatty acid chains are ricinoleate. Oleate and linoleates are the other significant components. It is widely used in Industries, Food & preservatives, Medicines, Coatings, Lubrications, etc. Please contact us for your requirements from India.